Regards, Ian, Mike, Dave & Perry G.
Cultdom Episode 343 Cultdom August 2018 Monthly Meeting – in September! Doctor Who & general News roundup followed by general discussion of recent & upcoming ‘genre’ TV Series that are catching our attention at the moment. 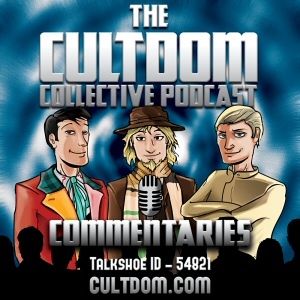 Cultdom Episode 342 – 9 Fantastic Years of Cultdom! Our first live podcast from the New TalkShoe. Our July 2018 monthly meet-up and also marking 9 years of the podcast! Firstly a short review of ‘Lost in Space’ (with spoilers!) Then 40 minutes in our tribute to Stephen Hawking – helped by our very own Perry G. – talking about the man himself & his contributions to theoretical physics & also a little about his sense of humour.